Plenty has changed for KL Rahul between IPL 2018 and IPL 2019. The last season was a game-changer, catapulting him into the big league among T20 batsmen with 659 runs, the third highest in the tournament. It sealed him a spot in the Indian limited-overs squads, but events towards the fag end of the season threatened to derail him. Rahul thus came into IPL 2019 short of confidence, looking to make a mark as a batsman once again. Perhaps in his mind, he was also looking at the IPL as an audition for a World Cup spot which he could have sealed much earlier. The difference in Rahul between the two seasons is visible in his batting this season. Rahul of IPL 2018 was a dasher oozing confidence, declaring that his side could push any score if they click together. It was seen in the numbers - Rahul's 659 runs came at a strike-rate close to 160. Rahul even smashed the fastest ever IPL fifty last season, off just 14 balls. In all, he scored 32 sixes and 66 fours in 14 innings, taking attacks to cleaners all over. That is more than two sixes per game on an average. Rahul of IPL 2019 is perhaps a reflection of his changing personality, brought about by the entire episode that even led to a suspension. He now appears calmer and grounded, which are reflected in the batting numbers. Rahul has shown consistency this season too, scoring 217 runs from six innings. The strike-rate has come down to around 122 - a drastic change from last season. He has only hit four sixes and 19 fours in the six games. What's impressive though, is that Rahul has brought up these changes without compromising on success. Only the method to the destination has changed. All three half-centuries have come in chases. Two of those - against Mumbai Indians and now against Sunrisers Hyderabad - were in victories. It's not just a coincidence that Rahul was unbeaten on both the occasions. The other half-century should have resulted in a win too, but Rahul, and Sarfaraz Khan, miscalculated a chase big time against Chennai Super Kings. Despite adding more than a 100 and taking it deep, the duo never shifted gears. Rahul has taken up the role of an anchor this season, as opposed to the dasher he was last year. The Chris Gayles, Mayank Agarwals and Sarfaraz Khans attack around him. 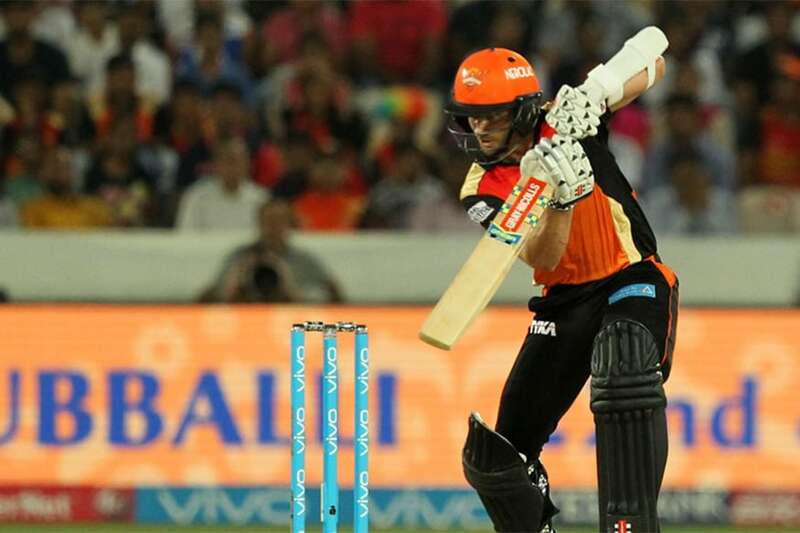 That was the formula once again against Hyderabad on Monday (April 8) - chasing 151, Rahul batted deep, keeping the score moving with hard running between the wickets. Of Rahul's 71 runs, 37 came through singles and doubles. Without much risk, Rahul crossed his 50 off 34 balls. The chase should have been completed easily but a flurry of late wickets took it too close. Unlike last time though, Rahul was there to see them home. Grass on the wicket and even bounce should have ideally aided strokeplay, particularly for a batsman like Warner. What one witnessed though, was anything but a stroke-filled knock from the Australian who scored just 70* in 62 balls in Hyderabad's 150. Warner was subdued, for two reasons. Firstly, Punjab had their plans spot on and more importantly, executed them to perfection. There was a little bit of swing and Ankit Rajpoot and Mohammed Shami bowled brilliantly to keep Warner in check. There was hardly any width on offer, and even on the few occasions when there was, Warner couldn't pierce the off-side. Warner's first 15 balls produced only four runs, as Sunrisers scored only 27 in the Power Play. The other factor that kept Warner quiet was Jonny Bairstow's dismissal. Punjab brought back Mujeeb Ur Rahman precisely for that, and he did his job dismissing the Englishman in the second over. Once the breakthrough was given, Mujeeb made way for Rajpoot and Shami in the Power Play. Bairstow's dismissal would have played on Warner's mind as he saw what happened in the previous match when Hyderabad lost the openers early. In that game against Mumbai Indians, Warner perished to a rash shot after Bairstow fell and Hyderabad ended up 96 all out in chase of 137. Warner and Vijay Shankar ensured such a collapse wouldn't happen, but both took too much time. There were no boundaries between Overs 6 and 10, and Hyderabad managed just 50 runs in the first half of the innings. Warner's first 25 runs took 32 balls, before he accelerated a touch to get to his 50 off 49 deliveries. The first six of the innings came in the 16th over, and Punjab added 58 in the last five. Warner not able to play his natural game was yet another reason why Hyderabad need Williamson to provide stability in the middle overs. His return - whenever he's fit - could cause some selection headaches, but the last two performances could make the decision easier.